Stairs are now sittable chairs! You can sit anywhere now! Lots of "chair" types to choose from! Can be decorated - be creative with your designs! Over the years,Minecraft has had a lot of updates.But somehow,none of them has actually added Chairs into the game. 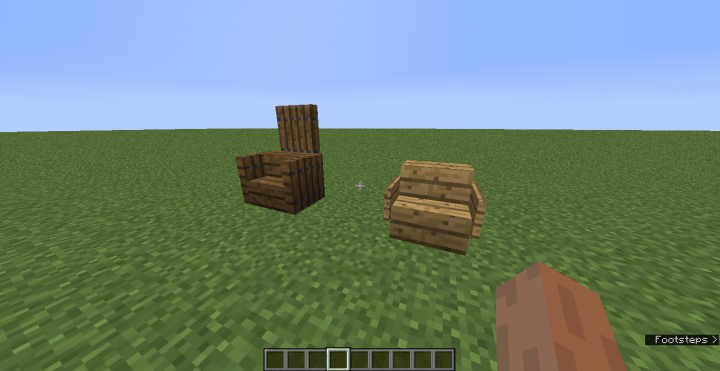 But in this datapack,you can actually have Minecraft chairs which is very easy to make and comes with a lot of variety! 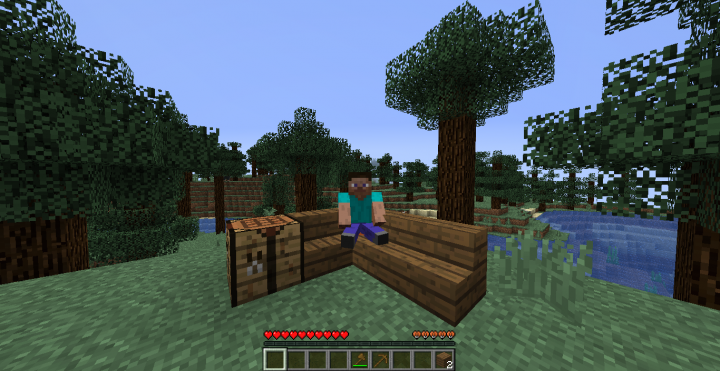 - You can now sit on Minecraft stairs. + Stand on top of the stair block that you wish to sit on. + There should now be a "cushion" at the stair block below you. Press your "use" key (Right click as deafult) on that "cushion" and you should be able to sit down. - Can be installed in combination with my other datapacks! 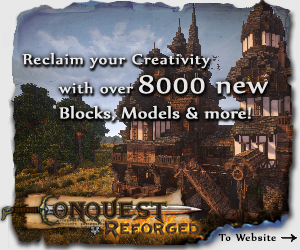 - Can be installed in multiplayer! - Will work on all minecraft stairs! - Can be enabled or disabled at will! - You can use /trigger info, then click into the datapack name to know more about the datapack! - If you have problems in installing the datapack, try opening the downloaded .zip file, then drag the first thing you see and drop it to the datapacks folder of your world. Works for all my datapacks! - Use /function #main:remove and follow the instructions to uninstall the datapack completely! - You can also use /function #main:remove, then delete the old version then install the new version, use /reload afterwards to update the datapack. - Also, join the Behind The Datapacks Discord Server for more info on the datapack! It did not work on 1.13.2 without modifying the structure of it. Had to put packmeta file and data directory to the top-level in the .zip container to make it work. Otherwise, you get an error that the resource can't be found. Gonna bugfix that along with the /info update. Also, gonna do some performance updates for the datapack so it would work way much smoother. Click the link above to get to know how to install datapacks!